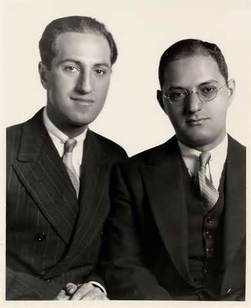 George and Ira Gershwin are brothers who combined their musical talents to become major musical talents on both Broadway and in Hollywood. Throughout the week we will learn about both brothers individually, as well as what they did together that helped shape the music of the times. George had an amazing talent for playing piano and writing music. He liked to try out new things with music, such as combining jazz music with classical music. 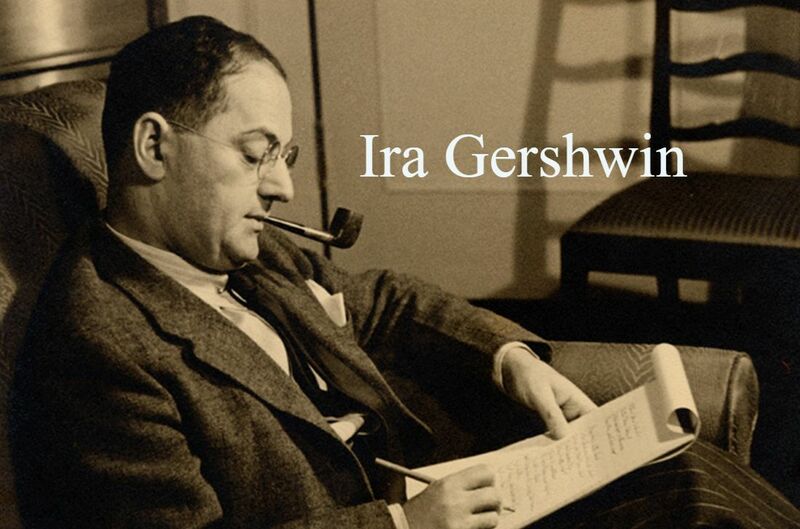 Ira was an extremely talented lyricist (meaning he wrote the words to the music). Together, these brothers became a combination that knocked out many great musicals and movies during their lifetimes. 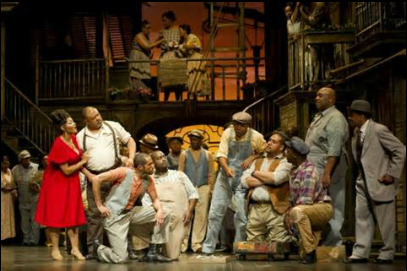 One of their most famous works was the opera “Porgy and Bess.” Porgy and Bess is the story of Porgy, a disabled street-beggar, living on Catfish Row in South Carolina. Catfish Row was a horribly dirty place to live. In fact, it is described as a slum. 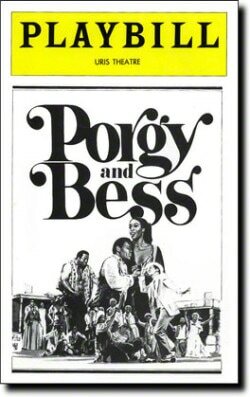 Porgy falls in love with Bess and tries to save her from a man who is bullying her. “Summertime” is one of the most recognizable songs from this iconic production. 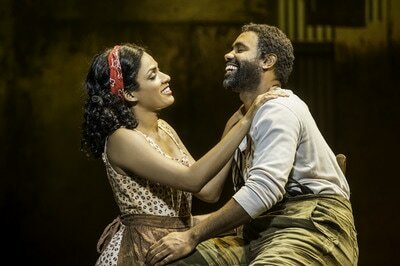 It takes place in the first act of the opera as Clara sings to her baby during a summer evening on Catfish Row. This song has been recorded by a variety of artists from Ella Fitzgerald to Janis Joplin. Today, we will see “Summertime” as it is sung in the actual opera. 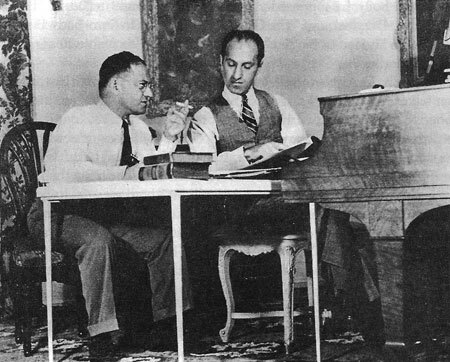 George and Ira Gershwin were an example of a perfect team. 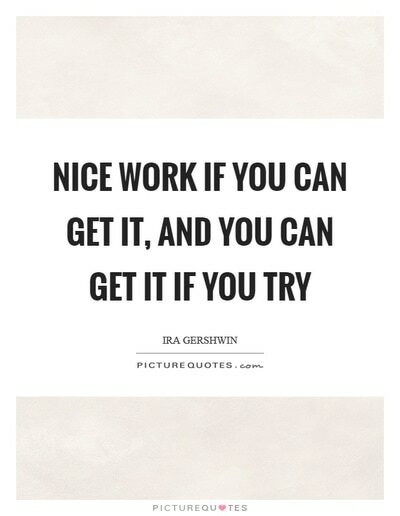 George would write the music for the songs and Ira would write the words. Both were extremely talented and not afraid to try new things with music. 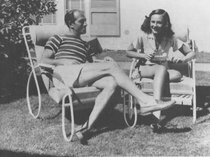 Their parents were immigrants from St. Petersburg, Russia and they were a Jewish family. 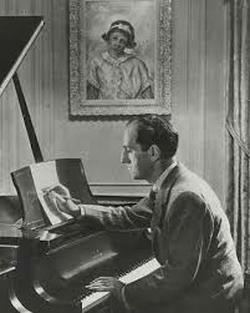 Ira Gershwin was born in New York City in December of 1896. His birth name was Israel Gershovitz. His parents bought him a piano early in life; however, it was his brother, George, who showed an interest in the piano. Ira was more interested in writing. Ira attended college at “College of the City of New York” where he showed talent with poetry and song lyrics. 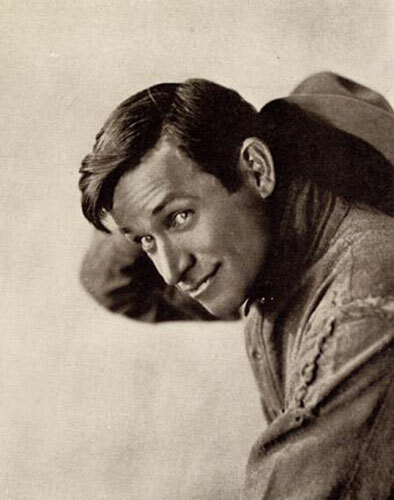 In 1918, Ira and his brother, George, worked together to write their first big hit, “The Real American Folk Song”. 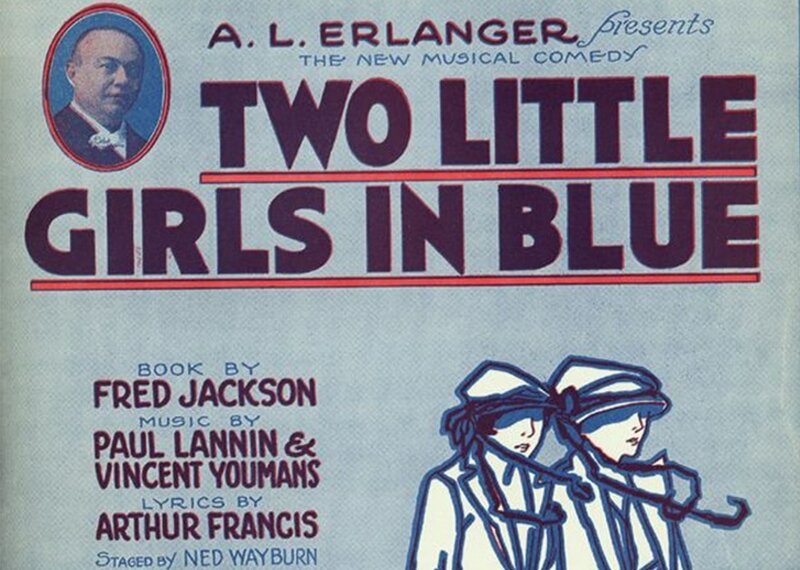 Ira decided he liked writing song lyrics and was quickly hired to write lyrics for a Broadway musical titled, “Two Little Girls In Blue.” Ira really didn’t want everyone to think he was only good because his brother was THE George Gershwin, so he used the name Arthur Francis instead of Ira. 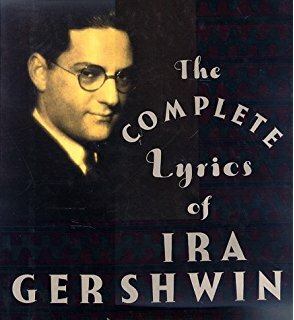 Today’s Listening example “Of Thee I Sing” was a collaboration of Ira and George; however, this whole musical made Ira Gershwin the first lyricist to ever win a Pulitzer Prize. “Of Thee I Sing” was a musical comedy written to make fun of politics. The president is an outlandish character who runs on a platform of love. He hosts a beauty pageant to find himself a wife. The public chooses a beauty pageant queen for him to marry, but that’s not who he chooses in the end. 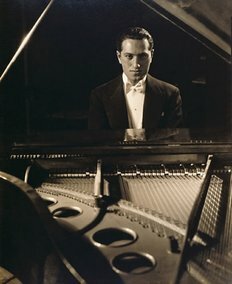 George Gershwin is the younger of the Gershwin brothers; however, he is the most famous, and he was the first to become famous for his musical abilities. He showed musical talents early on in his life and considered music a passion. He loved to play with notes and combine genres to make new sounds. He wasn’t afraid to be creative and try things others would have never thought possible. 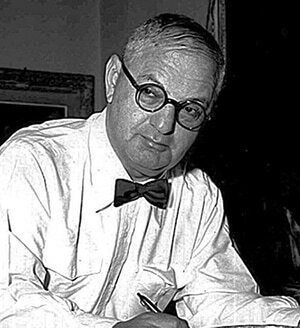 George was born in Brooklyn, New York on September 26, 1898. He was given the name Jacob Gershovitz at his birth. As a boy, George was anything but studious, and it came as a wonderful surprise to his family that he had secretly been learning to play the piano. 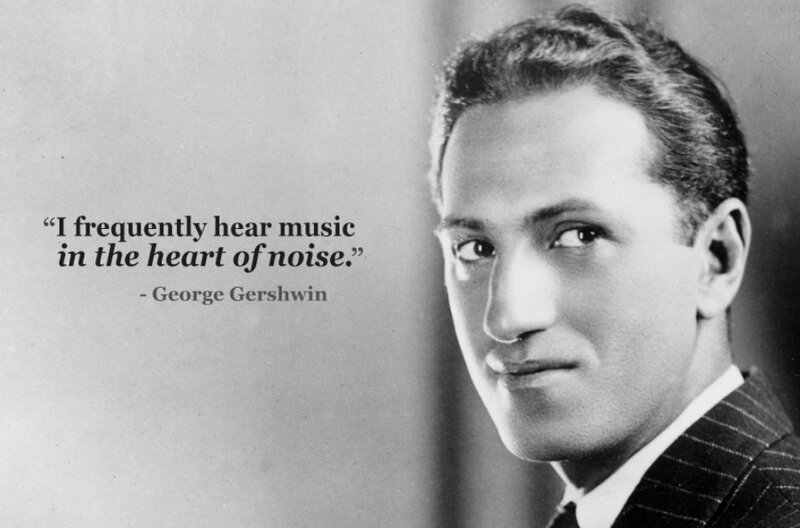 In 1914, Gershwin left high school to work as a Tin Pan Alley song plugger. A song plugger was someone who picked out and played music in music stores to interest the customers. Within three years, “When You Want ‘Em, You Can’t Get ‘Em; When You Have ‘Em, You Don’t Want ‘Em,” was published. 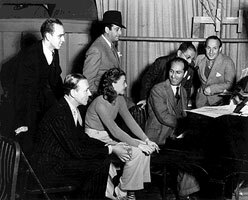 Though this initial effort created little interest, “Swanee” (lyrics by Irving Caesar) — turned into a smash hit by Al Jolson in 1919 — brought Gershwin his first real fame. The song “Swanee” was written for a New York City revue called Demi-Tasse, which opened in October 1919 in the Capitol Theater. 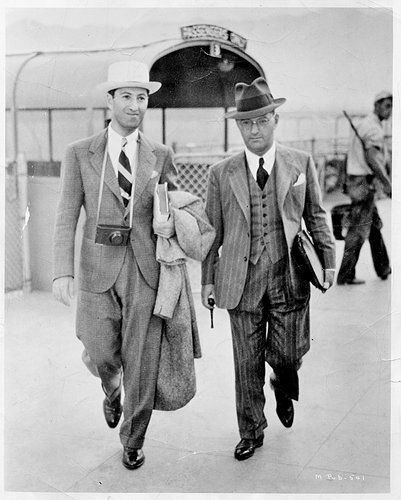 Caesar and Gershwin, who was then aged 20, claimed to have written the song in about ten minutes riding on a bus in Manhattan, finishing it at Gershwin's apartment. It was written partly as a parody of Stephen Foster's "Old Folks at Home". It was originally used as a big production number, with 60 chorus girls dancing with electric lights in their slippers on an otherwise darkened stage. 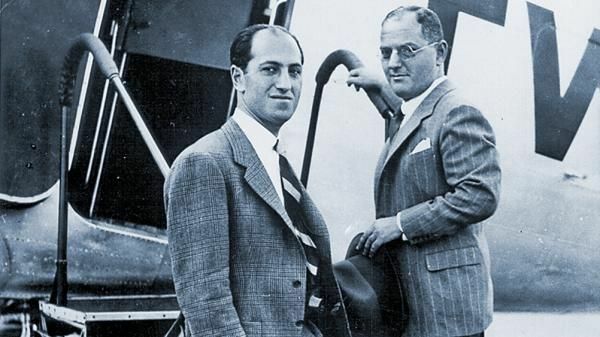 George Gershwin wrote most of his vocal and theatrical works, including more than a dozen Broadway shows and several films, in collaboration with his elder brother, lyricist Ira Gershwin. 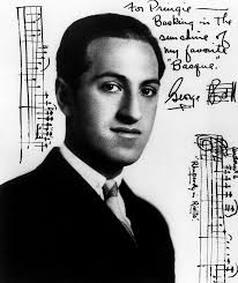 George’s musical compositions have been used in numerous films and on television, and many became jazz standards recorded in numerous variations. Countless singers and musicians have recorded their songs. 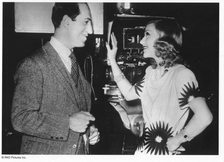 It was not until 1924 that Ira and George Gershwin teamed up to write the music for their first Broadway hit Lady, Be Good!. 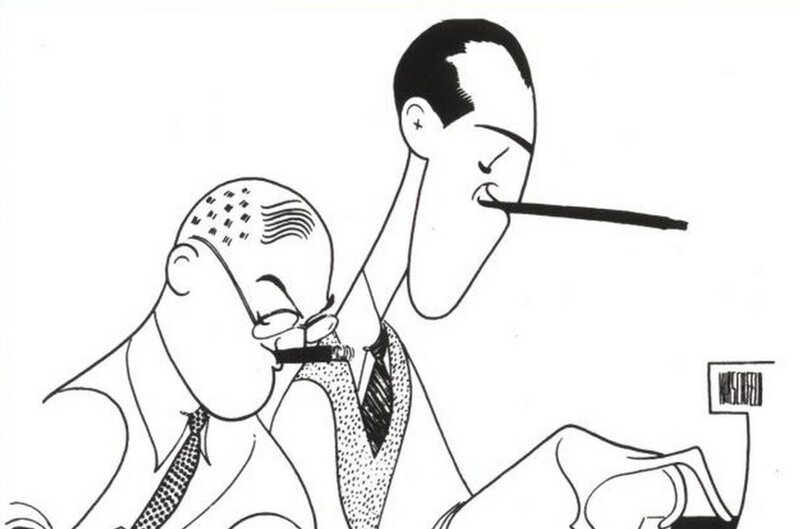 Once the brothers joined together, their combined talents became one of the most influential forces in the history of American Musical Theater. 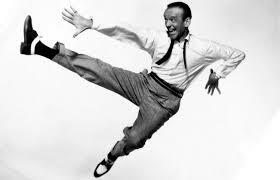 They worked with major stars of the time…..Fred Astaire and Ginger Rodgers. 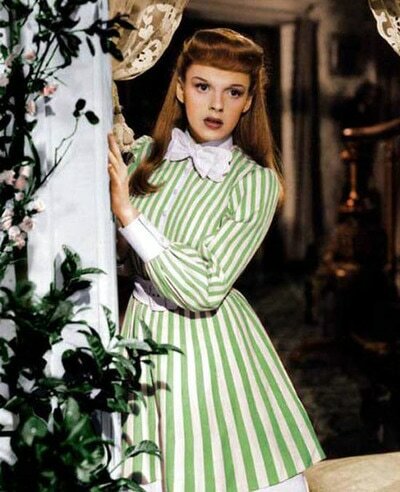 Judy Garland even sang their music in both Broadway shows and Movies. Today’s listening example is a song from the musical movie “An American in Paris.” George was inspired to write this music when he was studying music in Paris. “ ‘s Wonderful” is not the most famous song from this musical, but it is a fun song. “I’ve Got Rhythm” is the most famous song to come from this musical. 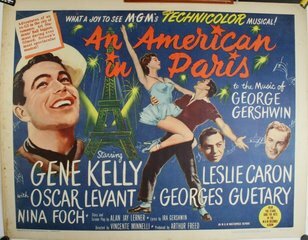 An American in Paris won 6 Academy Awards. Our lesson today is about a style of music you probably know as the blues; and, George Gershwin’s willingness to cross barriers and try new things. 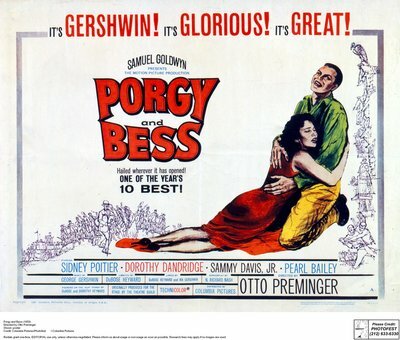 Gershwin wrote a folk opera called Porgy and Bess in 1935. 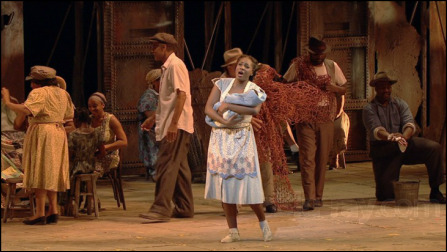 Set in the south, this opera was innovative because it had an African-American cast who were classically trained singers. This was something unheard of during the Great Depression era. 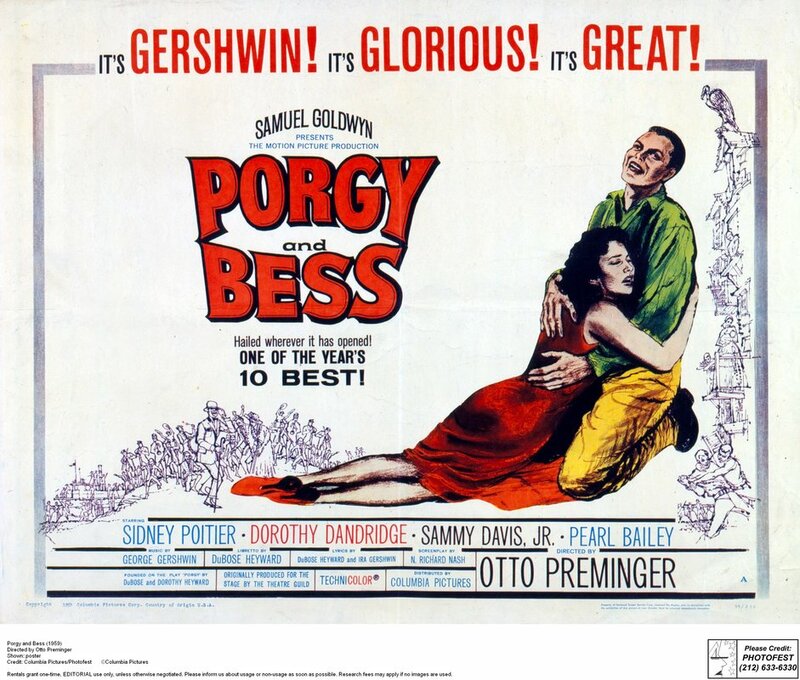 Porgy and Bess reflects Gershwin’s interest in blues. In the opera, a blues-style lullaby called “Summertime” is sung by a soprano with a high opera voice as she rocks her baby. Instruments begin by playing what suggests a rocking motion. This lullaby has been sung by many people in many different ways, and some of you may have had it sung to you when you were little. In 2004, American Idol winner Fantasia Barrino impressed audiences when she sang “Summertime” sitting on the stage floor barefooted. 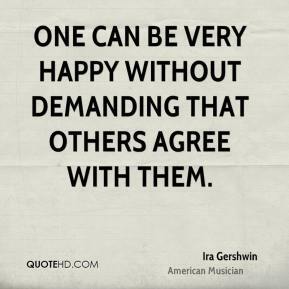 And if Gershwin had lived into the late 1960’s, he could have heard Janis Joplin sing "Summertime". 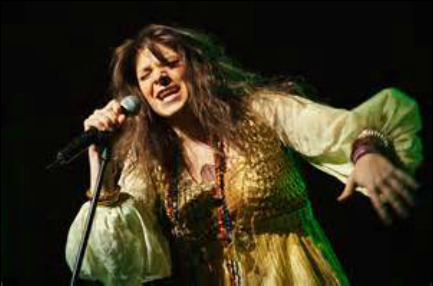 She was a folk-rock musician of the 1960’s hippie culture who had a strong, husky voice. 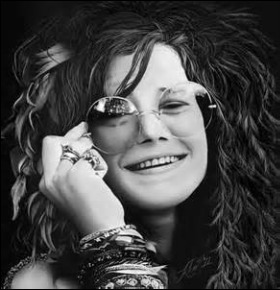 No one could sing the blues like Janis Joplin. 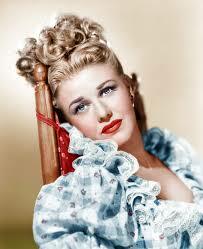 Her version of “Summertime” is a reflection of Gershwin’s attitude towards music -- “dare to be different”. Fantasia Barrino, 2004 American Idol winner sings "Summertime". Janis Joplin, 1960's folk-rock singer.